T-mobile is definitely not resting on its heels when it comes to cementing itself as a major 3G player in the wireless landscape. Hot on the heels of a promise to launch HSPA+ services in the US this year in select cities, T-mobile has begun just that with Philadelphia getting first billing. According to the Wireless Week article, the necessary path to HSPA+ involves software upgrades rather than hardware ones. T-mobile will continue to expand its HSPA+ upgrades with a small list of cities planned for 2009 and continued efforts to increase the city count well into 2010. Happy 3G surfing Philly! Here is to the hope that T-mobile becomes the major powerhouse in the 3G market that is so desperately needed among lost cost AND quality carriers. Wow thats great news for those of us in Philly too bad I no longer have a data still great news to see t-mobile not resting! no pity for you. we don’t even have 3g in st. louis! St.Louis is a HUGE city, I’m really surprised they haven’t launched yet. St. Louis does have 3g, its just not expansive into the suburbs much. Hope we get some love in NYC soon. That’s a photo of Manhattan is it not? That is a picture of New York City, not Philadelphia. Do your homework. Damn already?? I thought they was gonna start out with HSPA in 09 first while also testing HPSA+ (21mbps) 2009/10.. Tmo is already jumping the gun, passing HSPA (7.2 or 14mbps ? ), which is even better.. Which phones (even upcoming phones) takes advantage of HSPA/HSPA+ ?? I’m guessing tmo is injecting steriods into their 3G to get ready for their Dell Netbook coming out soon (oct.-nov.).. But congrats to Philly for being the first city to bump up to HSPA+ .. I can’t wait for Seattle to upgrade to HSPA+ .. I wonder when that will that be. So is tmo the first US carrier to switch to HSPA+ (3.75G)? waaaiiiiit. 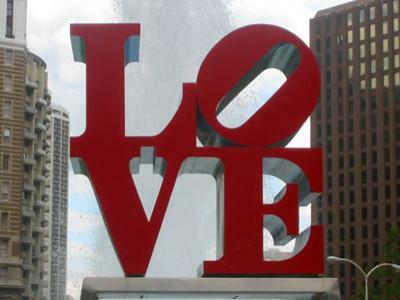 why does philly get first dibs on it instead of nyc? So does this mean we’ll need an hspa+ enabled phone to take advantage of these speeds or will any 3g enabled phone be able to do the job. From what I’ve read this sounds like a software upgrade on the transmission side and not so much to do with individual handsets. It’s good to be in Philly!!!!! I new something was up, a couple of weeks ago i noticed increased speeds while on edge, doing speed tests, was getting speeds of 300 plus! Does anyone know which phones support HSPA+? Or do all 3g phones work with it? Amen brother! Either way I changed it just because I wanted there to be less confusion! Hopefully the Atlanta metro area will be blessed with the upgrade sooner rather than later. There is 1 concern I have, Verizon plans on launching LTE next year. Depending on how fast and widespread their launch is, Tmo is going to lose any and all momentum they have. How will Tmo be able to advertise their 3.75g network when there will be 2 4g networks available. But at least Tmo is making a concerted effort to close the gap. actually JD, there was a picture of new york before the author (if thats what you want to call him) changed it. And why are we not calling me an author? I love all your armchair quarterbacks who take full advantage of what I do without any appreciation for what it takes to make it happen. I’d love it if T-Mobile would just EXPAND their current 3G coverage. What use is claiming a “city” is 3G if it’s just the smallest part of the business district? Lots of sizzle, but no steak. No wonder Deutschland Telekom is riding the US management. First we heard the Government was dragging it feet when it came to abandoning the spectrum, now they’re rolling out 4G when a) they haven’t completed the 3G, and b) 3G coverage where they do have it is more of a hand towel than a blanket. While the speed is good, I can’t help but wonder if this is more because of the limited area of deployment instead of a sound deployment with a decent backhaul.